Brand new for Spring 2014 are two brand new gloves from Speed and Strength! Wether you're riding a chopped and bobbed HD, or a Gixxer with a stunt cage, they've got one just for you. Up first are the Stars and Stripes Gloves, a new addition to S&S's Stars and Stripes line, which is targeted towards cruiser and V-twin riders. 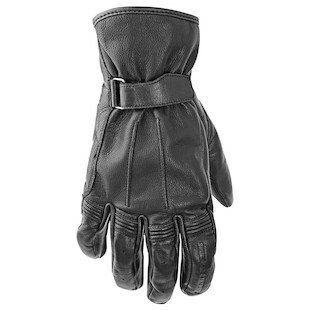 If you were looking for a riding glove with classic style and features, then look no further. Full leather construction, reinforced gel palm padding and articulated fingers are the standout attributes on these gloves. Simple and to the point, the Speed & Strength Stars and Stripes Gloves are the perfect compliment to an old-school biker look. The other new glove from S&S is a collaboration with Mixed Martial Arts clothing company, TAPOUT. The Speed & Strength TAPOUT Gloves have a short cuff race fit with a reinforced leather palm for abrasion resistance and grip, and a mesh textile upper for breathability. Added protection comes from a TPU knuckle protector embossed with the TAPOUT logo. If you're a fan, be sure to check out the rest of the S&S/TAPOUT Moto line which includes an Armored Hoody and SS700 Full Face helmets. 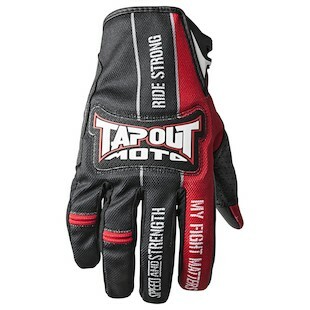 "Ride Strong," with TAPOUT Moto! Whether you are looking for a pair of classic leather gloves, or something to match up with the rest of the S&S Tapout collection of gear, Speed and Strength has a set of finger dwellings for you.